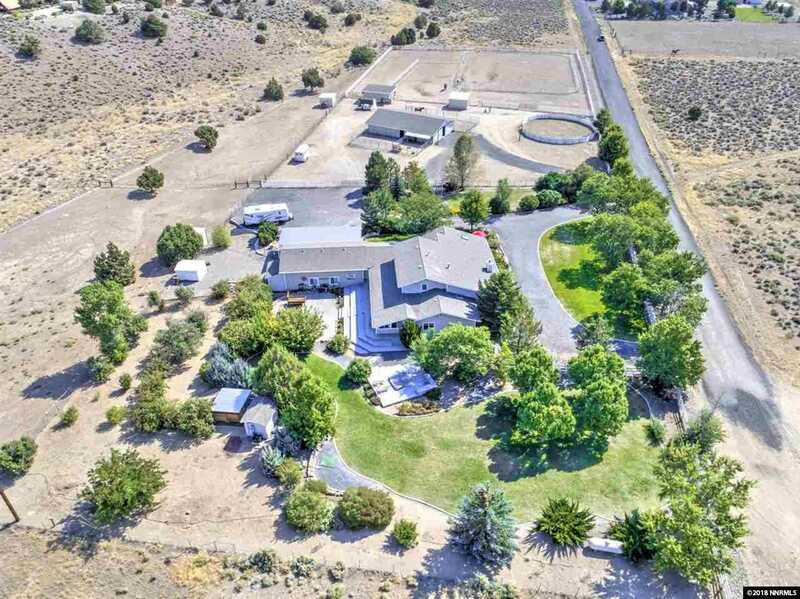 Only minutes from town this horse property has it all! Steps away from BLM for miles and miles of riding. Beautifully renovated ranch home, w/open floor plan, all rooms on the 1st floor except a bdrm, bath and family room on 2nd floor, perfect for in-law quarters! 5 stall barn w/heated auto water and runs, hot water wash rack, tack room, round pen, arena, 5 large turnouts w/shelter, auto waterers. Easy trailer parking. SchoolsClick map icons below to view information for schools near 2191 Calle Del Sol Gardnerville, NV 89410-6605.